She was missing her light. Could this be her light? She realizes this is what she was missing, this is her light. The Fairy Tale by Rebecca Armitage is from Take Two: Another Anthology of English Writing from the Costalegre and marks Rebecca's first appearance in the Bar None Group anthologies. 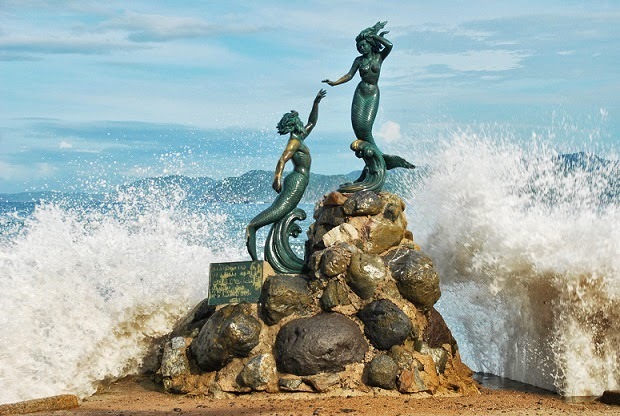 Rebecca, a child of the sea, was first introduced to Barra de Navidad by her parents as a young child. Today, as a woman, she is now a bright light of Barra's winter life. This is a beautiful poem and one that I can relate to in my own life. Thanks for the adventure.